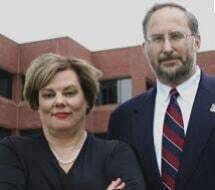 At Criss & Rousseau Law Firm LLP, each of our attorneys brings an incredible wealth of experience from past positions that allows us to create the strong cases they need to help them get through whatever difficulties they are facing. We are highly effective litigators who understand a wide range of areas of the law. Attorney Susan Criss is a former Texas District Judge and prosecutor. Attorney Rick Rousseau is a retired Colonel with decades of work as a JAG officer. Together, we are able to give our clients the benefit of a diversity of experience that truly helps them. Having served in various roles in the military and criminal justice system, our attorneys bring a depth of understanding about what strategies will work in those settings that is unparalleled. When you need a real solution to the difficult issues you are facing, our firm can offer solutions that are backed by decades of experience.